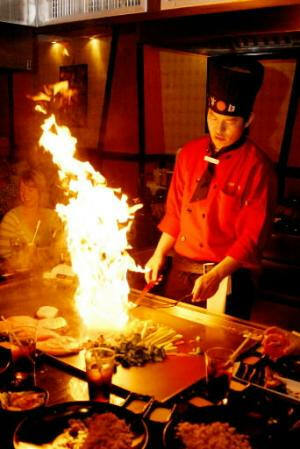 Hibachi is originated from the Japanese term "fire bowl", which is used as a heating device in Japan. In North America, Hibachi typically refers to small cooking grills that are made of aluminum or cast iron. 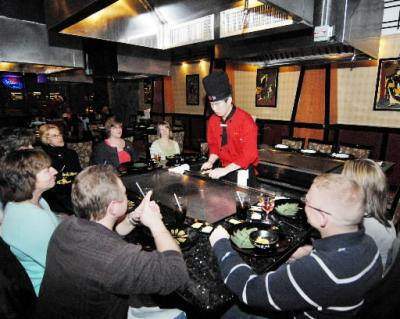 In the Hibachi or Teppanyaki style cooking, the gas-heated hotplates are integrated into tables (shown below) surrounded by people, who are entertained by a chef who cooks with theatrical flair.